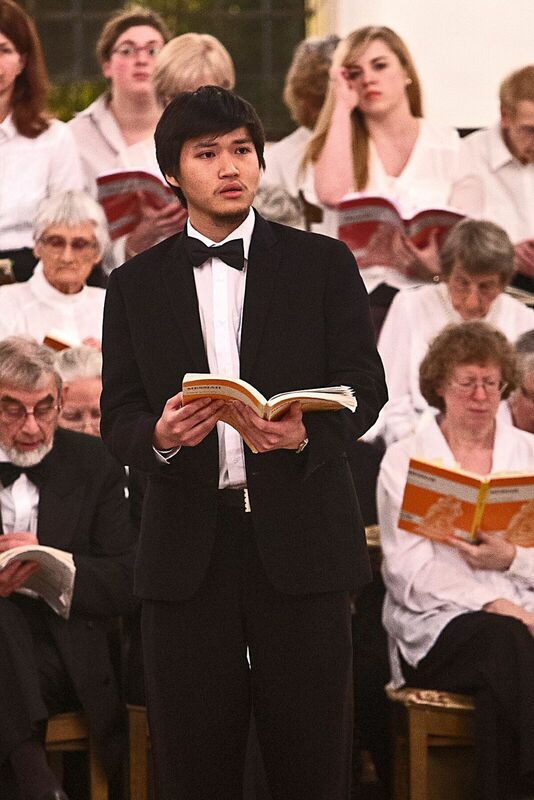 Brentwood Cathedral regularly hosts major concerts provided by the Cathedral Music Department or put on external choirs and orchestras as well as schools’ concerts. 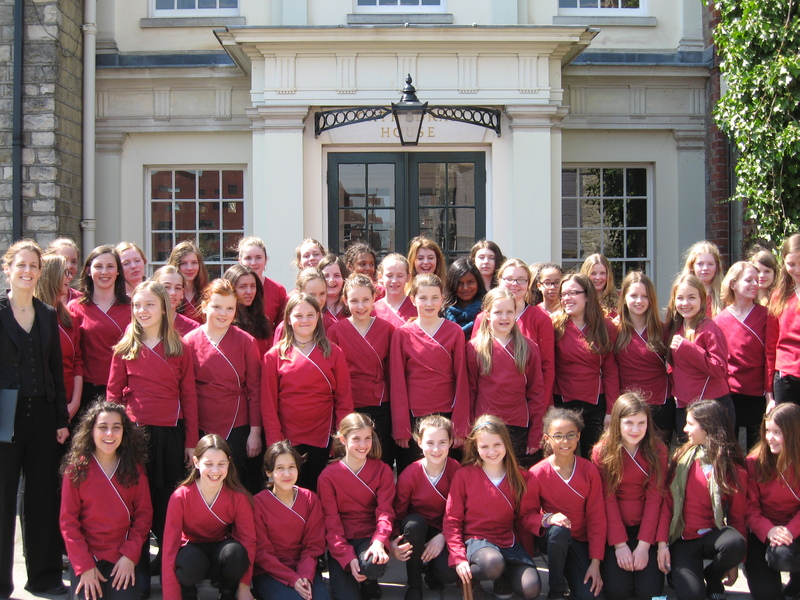 The venue provides an important musical and artistic focus and venue for the Brentwood area and for Essex. 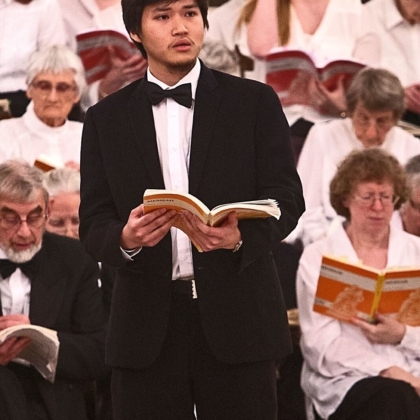 Watch the space below for any information and updates on Diocesan concerts happening in and around Brentwood and the Cathedral. 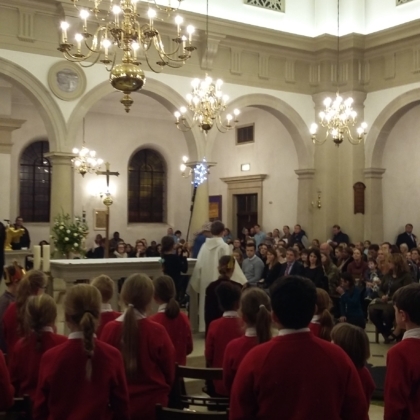 Two primary schools’ Christmas concerts took place this year once again. The first concert on Thursday 17th November at Our Lady of Lourdes, Wanstead and the second concert on Friday 25th November at the Cathedral Church of St Mary & St Helen. 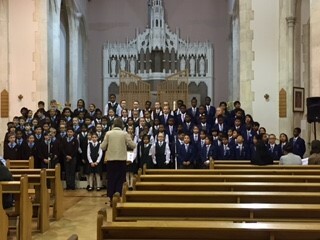 The concerts are a wonderful opportunity to prepare ourselves through music for the special Seasons of Advent and Christmas with singing by our school children from our the Diocese of Brentwood. The Diocesan & Cathedral Music Department is delighted once again to work with the Diocesan Youth Service in support of charities. 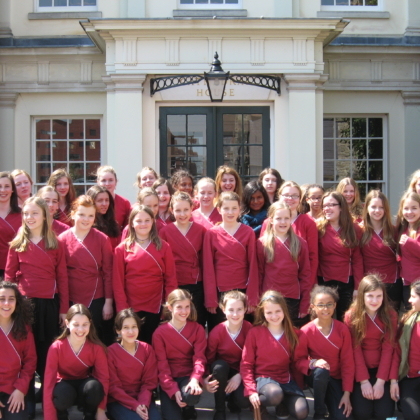 This evening’s concert combines the Music Department’s tradition over the years of the production of join schools’ musicals, together with the long tradition of Christmas Carols Concerts put on by the Youth Service. 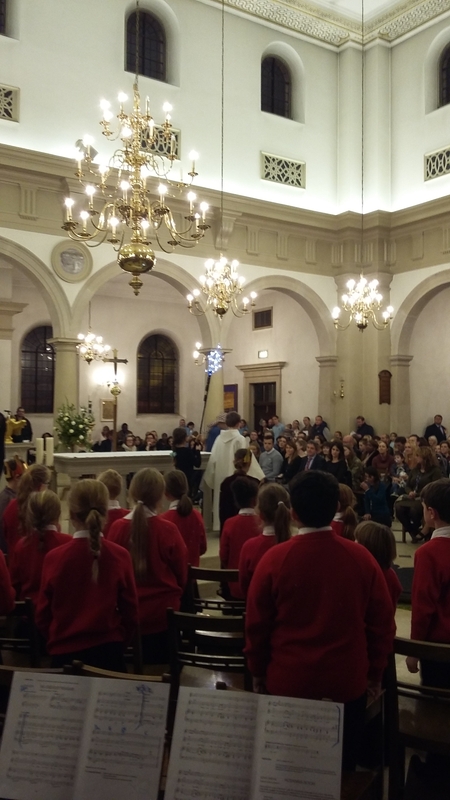 Although the gatherings this year are smaller in scale than previous gatherings at the Brentwood Centre, we did to allow as many school children as possible to offer their singing at this Festive time and to come together. 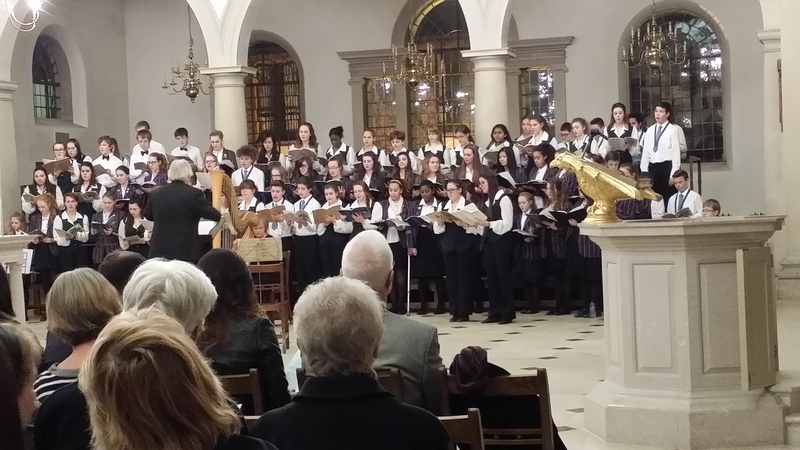 Also grateful thanks to Fr Dominic Howarth and the Youth Service, especially Leighton Walker and Gabriella Fusi, for all their hard work and support in making the concerts possible. Special thanks to Canon Patrick Sammon, Roderick Sine for their kindness and welcome at Wanstead and for allowing us to use the church. 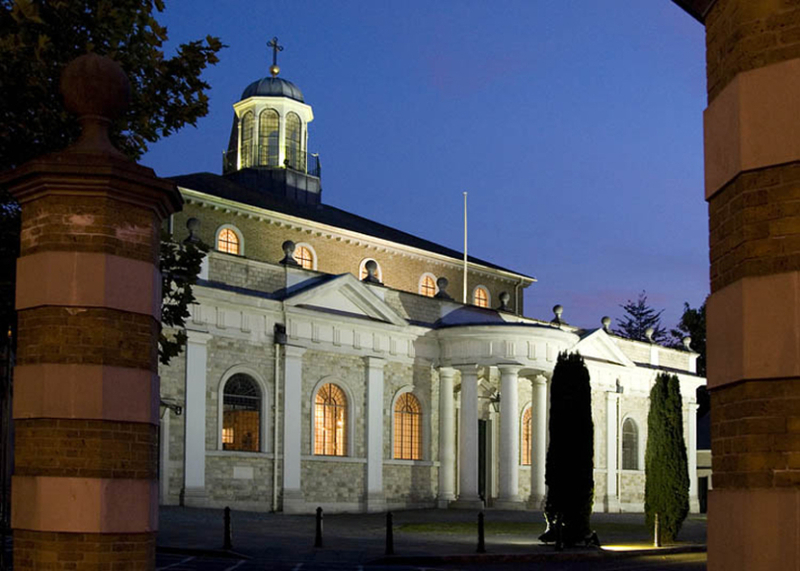 Thanks to the Dean of Brentwood Cathedral, Fr Martin Boland for allowing the concerts to take place in the Cathedral. And thanks to Helen Hutcheon and Amanda Romhany for directing Hosanna Rock! at the Wanstead and Brentwood shows respectively. Special thanks also to the Music teachers of all the schools for directing and preparing the children for all the carol performances. We also thank most especially the head teachers of all the eleven participating schools. Thanks also to the children of St Edward’s Primary School, Upton Park for taking on the role of narration and readers at Wanstead. At Brentwood, St Joseph the Worker Primary School, Hutton undertook the acting which was much appreciated. 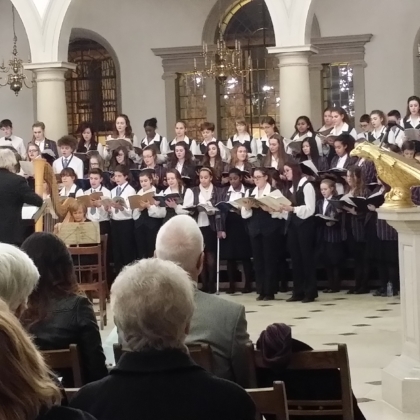 Apart from a joyful preparation for Christmas through music and words, we once again helped raised funds for the Brentwood Catholic Children’s Society (BCCS) and the Brentwood Catholic Youth Service (BCYS) & Walsingham House.